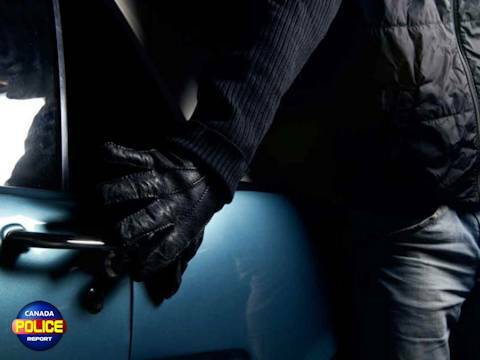 Leduc, Alberta – On April 14, 2019 Leduc RCMP responded to numerous complaints of theft from motor vehicles in the Southfork neighbourhood.Information was received describing a suspicious male seen pulling into a driveway and entering a vehicle. When the suspect male was approached he got into a vehicle and left the area. A short time later, Leduc RCMP received another report of the same male. Leduc RCMP made patrols in the area and located the male suspect. The male attempted to flee through a nearby field, but became stuck in a ditch. After a short foot pursuit the male suspect was arrested. • Possession of stolen property over $5000. He has been remanded into custody and will appear in Leduc Provincial court on April 18, 2019. RCMP would like to thank the public for numerous tips that were received in regards to this investigation. “Teamwork between police officers and tips from the public are key to the success of our operations,”says Constable Cheri-Lee Smith.